Reboot your body, mind, and soul with Native American wisdom, wellness and bodywork at a stunning desert retreat in Arizona. Leave your hectic day-to-day life behind and step into six days of adventure, nature and wellness in the ethereal setting of the Arizona Desert. When you arrive at the luxury Base Camp, you’ll see why the Wall St Journal voted Restival Best Eco-Luxe Retreat of 2017. You deserve more than a break, so travel back in time to a five day deep dive into Native American Wisdom, nature, art, styling, music, Eastern Philosophies and emerge with a fresh outlook on life. Artists, healers, arstologers, herbalists, Navajo horsemen, and many others will guide you through your journey to nourish your spirit, connect with the earth around you, and balance your deepest self. Intimate, luxurious, and exceedingly comfortable camping. Sleeping in a Restival abode is sophisticated and authentic. 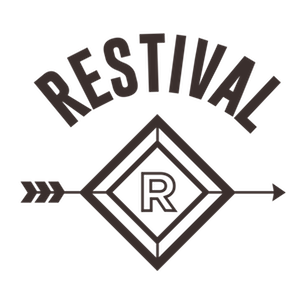 All Restival’s accommodation features beautiful, rustic, Navajo decor. Beds are dressed in sumptuous organic bed linens, towels are provided, and a complimentary nomadic traveler pouch is included. There is a power source on site for you to recharge your device, and tents are lit by torchlights and fairy lights at night. Showers and washrooms are within walking distance of your tent.